Matt Danilowicz is CEO Vitec Videocom. This article is a combined series of interviews from the past year. JON FAUER: You and I first met when you were at Avid. How did you get started and how did you wind up in this business? MATT DANILOWICZ: I started in this industry after a very brief early part of my career as an economist for the U.S. Consumer Price Index. That was, shall we say, a very dry area. Then, in my mid 20s, I happily answered an advertisement in the newspaper to go work for a company traveling all over the world installing newsroom computer systems. Back in those days it was incredibly primitive. But journalists loved it because it introduced them to exciting features like email and electronic scripting. It was quite a breakthrough at the time. I’m dating myself when I tell you that. That was my original foray into broadcast. I got the opportunity to really get a good sense of how television was done all over the world. From the world of computerizing text and teleprompting, I then had the opportunity to launch what ended up becoming the first disc-based computer system to play back commercials in the United States, a product called the Digistore. After I launched that product, the guys at Avid had me come to work for them. I had a great run with Avid all through the ‘90s. I ran the New York operation for a number of years, so I had a lot of opportunities to plug into not only the broadcast community there, but the film community as well. When I joined Avid, we were doing about $40 million a year, and by the time I left we were about $1 billion. It was an amazing, enjoyable ride. I helped broker a deal whereby Avid partnered with Grass Valley for a brief period of time and I ran the resulting joint venture, which we called iNews—a business that eventually came solely under Avid’s control. I helped develop control room automation for a company called Parkervision, which we sold to Grass Valley a couple years later, after which I ended up going to Pinnacle for a short period of time as head of their broadcast group. Avid came in and bought Pinnacle, and then I got a call from a headhunter asking me to join a company called Vitec. Honestly, I had never heard of this company called the Vitec Group. But I was very curious about it, and quickly learned that Vitec is a conglomerate holding company, and one of the most successful public companies in the broadcast landscape. I ended up joining them and ran their Clear-Com subsidiary, one of the leading providers of audio intercom systems. I ran that for six years. Then Vitec sold it, and I went with the business to the new private owner, HME. Two years later, Vitec asked me to come back and run the entire Broadcast Division. I’ve been having a blast ever since, getting to know the amazing brands and companies that Vitec owns. Since my arrival, I’ve been working on connecting our many Vitec products and businesses together to give customers a better experience. How did you learn to become an economist? I still am learning, in many respects. It’s just in a much smaller theater. I studied economics at the College of William & Mary in Virginia. At the time, I started working for and ended up running my college radio station. I think that’s where the bug bit me. Where is Vitec listed as a public company? They’re on the FTSE Exchange, in the U.K. Our headquarters are in Richmond, just outside of the center of London. The company started about 25 years ago. The original idea was to try to bring together various products around the video camera. Not cameras themselves so much, but peripherals that go around the camera. The original company started out as a merger between Vinten, which is a long-storied brand in the tripod and pedestal marketplace and another great brand, Sachtler, out of Germany. Vitec bought these two businesses and for the first 10 years of the company’s history, the two businesses fought against each other in the marketplace. They actually competed and built a lot of similar products. It was an interesting way to run the business. Then Vitec bought up a bunch of other businesses, incluing OConnor, which of course you know very well from their strength in the film industry, another great brand for tripods and supports. Gradually Vitec created a collection of businesses that for a long time competed against one another, and were run absolutely independently. Vitec was almost like a kind of a hedge fund in the early days. But about 10 years ago, we started doing a little bit of consolidation in the sharing of ideas and engineering and practices. We established a common back-office for the businesses. But we still held on to the idea that all these individual brands were run independently. It’s only been in the last year and a half, since my arrival, that we really began to accelerate the idea that we would start selling our products through a common sales channel and with a common marketing message. That’s been a big change for the business, but I think in the long run it’s something we had to do to be able to respond more quickly and to bring the full weight of our resources in areas where we’re either challenged in the market or where we need to respond more quickly to changing customer requirements. Our marketplace is moving much faster than it ever has before. I feel like there are more changes, more people entering the business than ever, and at the same time, more pressure at the high end financially than there’s ever been. All of those things require a faster and more powerful response from companies. I feel we will be better equipped to handle those challenges as a company that’s working more in a larger, shared footprint, rather than a business that’s simply a collection of smaller, individual companies. I think we’re just going to be in a better position to handle these market changes if we can kind of band together and work more closely as a team. How do you differentiate which brand does what? For example, let’s say you’re a DP and want to buy a new tripod. I’m going to be very honest with you. Up until several years ago, many of the brands we have were still competing with each other. We had Vinten, Sachtler and OConnor competing all the time for the same customer. While you could argue that’s great in terms of fostering some internal competition, the fact of the matter is we were wasting a lot of our energies and failing to optimize all of our brands to their unique potential. So, as of today, I think we now have a very clear position for each of our major brands. First of all, OConnor continues to be the brand that we focus on for cinema. Everything we do, we do with input from cinematographers. OConnor has the most clearly differentiated position historically and that still continues today. We really see Vinten as the product for the studio world as well as for outdoor broadcasting—situations where the highest level of precision is required in the fluid head design and responsiveness. So Vinten will continue to be the brand for more fixed or semi-permanent environments. 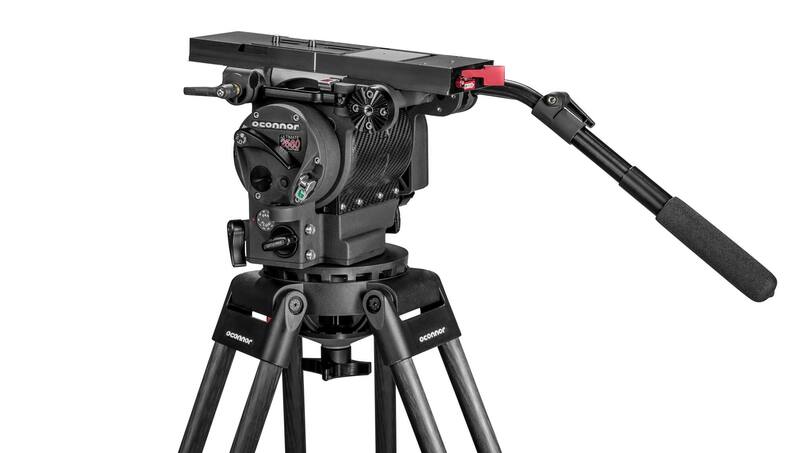 Sachtler is the set of products designed for fast deployment and rapid implementation—to enable a high level of precision that is optimized for quick setup and mobility. So that’s the distinction between the product lines. There’s still overlap. You can find certain cinematographers who absolutely love their Sachtler head or their Vinten head. But, in terms of how we’re trying to build the products going forward, we’re going to aim more and more for Vinten as the studio and OB type support. Sachtler is for the documentary style production and videographers, a little more on the move, or for situations where mobility is important and quicker and easier setup is required. And OConnor is for cinema production. I think there’s also brand loyalty. Crews grew up with this equipment. They continue to remember those names? Absolutely. I also think that once you’ve used these products, it’s really hard to go back to an inferior knockoff or some brand X that purports to give you a similar look and feel, but in the end let’s you down and doesn’t give you that same precision and sense of control. There seems to be a lot of competition in your arena. I believe that our business will continue to struggle to sustain the sheer numbers of brands that we see in the marketplace right now. If you walk around NAB, and you look at all of the tripod offerings, all of the LED lighting options, and all of the companies selling batteries, there are far more vendors in this industry than are really supportable based upon the economics of the available funds to purchase this gear. I look at that and I say to myself, there’s just no way to sustain this. Our industry tends to attract a higher level of competition than there would typically be in proportion to the economic return. That’s largely because there are a lot of lifestyle entrepreneurs out there, people who love being associated with the motion picture industry. They may or may not necessarily be making a profit, but they will hang on to the bitter end, competing in the marketplace, creating a very high level of competition, even when they’re not making a particularly good return. If you just take a look at the financials of the publicly reported companies on the show floor at NAB, you’ll see it’s an area where there’s a lot of challenge economically. The high end of the business is relatively flat. The television broadcasters have consolidated a great deal. There’s a big asymmetry between the vendors of this equipment and the buyers. The broadcast buyers at the high end are multi-billion-dollar media enterprises. Even the local TV stations in the United States have consolidated so much that they’ve got professional buyers who are negotiating very hard for equipment and really demanding high value. A lot of the local television operations around the globe are challenged now because of the advent of Internet streaming. Broadcast TV audiences are starting to skew older and older, as younger people are consuming more media from other sources. All of these things are challenging the business models, putting more pressure on the traditional suppliers, us included of course, so we’ve got to deliver an ever-higher value just to keep consistent with expectations in the marketplace. That’s at the high end. At the low end, you’ve got a huge demand for content coming from the Internet, reality TV shows and all the programming that’s needed to fill up all the cable and satellite systems out there. You see more and more people entering the market at the low end. They’re demanding high value products, but they’re extraordinarily price sensitive and they really want to see the absolute best bargains for the best quality products that enable them to get into the market at a fairly low cost point of entry. The decline in the cost of cameras has been a great enabler for a whole new generation of content creators and cinematographers, all of whom want to get into the business. So there’s kind of an explosion at the low end. Again, that puts a lot of pressure on vendors like us to deliver a very high quality standard at an ever-lower price point. We’re trying to respond. The motion picture business, I understand, is about a $10 billion a year industry. And the broadcast business is $20 billion? The weighted study by the IABM put it at $19 billion on the equipment side. That doesn’t include rental services and such. That really says a lot. Now, combine those numbers with the fact that you’ve got well over 1,000 vendors at NAB, all vying for that. It’s not a huge area. Where does this leave the rental market? For example, Bexel is part of the Vitec Group and you used to manage it. It’s fascinating and hard to even describe one consistent trend, because different companies and different areas of the market are going in different directions. I think a couple of trends that I could describe is this collision we have going on between videography and cinematography. We’re seeing more and more PL-type cameras getting used in broadcast situations. In the rental world, we are actually seeing a little bit of growth from broadcast-type companies and networks and production companies that want to learn more about the cinema world. And they do that by renting rather than buying. So they’ll rent some PL cameras, they’ll rent a RED Epic, ARRI Alexa, Sony F55, Canon C300. The ARRI Amira may be a game changer for many. The availability of cameras at a much lower price point enables people to get into cinematography who might previously not have been able to dream of it, simply because the prices were beyond their reach. Of course, that means for rental companies like Bexel, it’s a lot easier for them to acquire this kind of gear and make it available inexpensively. They’ll rely on that rental company to educate them and help grow their experience and expertise in that area. You’ve got a certain level of growth in the services area coming just from this collision of broadcast and cinema, which in and of itself is creating opportunity. There’s a whole new generation of people growing up who are leveraging the rental services companies as a way to educate themselves and to learn about these new sectors of the business. That’s at least one of the major trends we see going on there. Some companies like ESPN, the big live sports broadcasters, and event producers are turning more and more to rental services because they find that’s less expensive way to do all the coverage that they need to do without having to make big capital investments. You’ve got other players who look at it and say they need to cut back on their rental expenses. They’re going to invest more in their own infrastructure. Globally, the rental markets have never been more competitive. In the United States there are a couple of very big companies like NEP and VER. For a company like Bexel, our objective is primarily to associate ourselves with the really high-end opportunities where customers recognize our expertise and are willing to pay for a quality of service. Those are the customers who know that if they turn to Bexel, the production is going to go off well and they’re not going to have a problem. Which is why Bexel ends up doing a lot of the major productions like the World Cup, the Olympics, the Super Bowl, and situations where customers are still willing to pay for really high quality. That’s not for everybody. It’s become very competitive with a lot of smaller rental houses. Do you think they’ll be able to survive? Honestly, no. My blunt answer is I think it’s getting tougher and tougher to be a small rental company. It’s just really, really hard. Part of it is because the turnaround time for production is so much faster. There used to be a standard season when you would shoot your pilot. That’s all gone away now. People are producing year-round and they’re producing on very short timetables. When they need equipment, they need it and they need it fast. A lot of the requests that we get for rental gear are only 24 hours in advance. To really do well in that environment, you’ve got to have really big scale. And that’s why I think you need huge inventories to respond quickly to customers who want a rental in a few hours. About the Vitec name. It seems the Vitec group stays relatively low key. And you seem to focus more on the individual brands. That’s a great question. 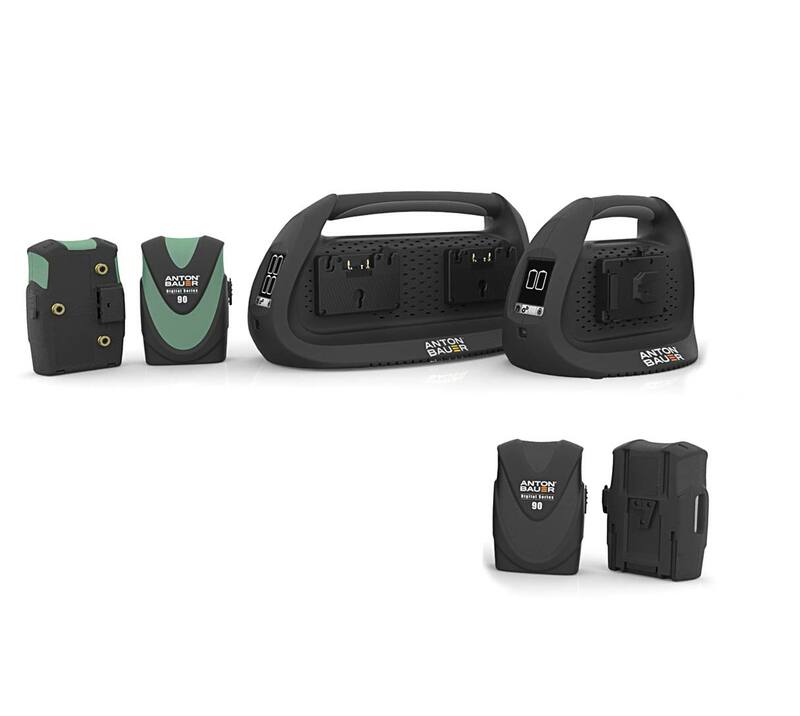 It’s an ongoing challenge for us as a business to get people to recognize Vitec as a solid, powerful, highly profitable company in the industry but at the same time, we lead our path to market through our brands. You know, Proctor & Gamble makes Crest toothpaste, Scope mouthwash, and many other products. But you don’t go to the store wanting to buy Procter & Gamble. At the same time, it’s nice to know that there is a big company behind those brands, backing them up. That’s what we’re trying to do with Vitec. We’re trying to give people enough awareness about our corporation that they recognize the Vitec company, with a brand that’s going to be around for the long term, a brand that you count on, a company that’s going to hold to a certain quality standard and corporate ethics that you can rely on. I never want to give up on the amazing brand loyalty that people have for so many of our brands, like Litepanels, OConnor, Sachtler, Vinten, Autoscript, Anton/Bauer. These great names resonate with many people. You said something interesting about the ARRI Amira. But you also talked about a lot of competition. Don’t you think that they’re going to face a lot of competition from lower priced cameras like Blackmagic, AJA, Sony, Canon, JVC, Panasonic, RED and others? I do. But I think you can’t rule out the fact that ARRI’s momentum goes very much to the brand awareness we were discussing, and the fact that you’ve got a lot of high-end cinematographers who have chosen the ARRI products. That halo effect I think is going to extend to the Amira and it’s certainly creating a lot of buzz for that new camera. I think it also helps that they’ve announced the capacity to produce only a certain number of them. So they’re going to be in demand just because there’s a limited supply. That’s economics again. That’s going to make them popular in and of itself. But, that said, I can’t dismiss the Blackmagic line of cameras with their powerful new sensors. I mean, very impressive again. Those price points are disruptive and they are going to change the face of the industry and continue to draw more people into professional cinematography than ever before. My hat is off to those guys for making the technologies way more accessible to more people than ever. You’re right about the aspirational aspect of the business. I think people see the name and they want to be there. It’s the same thing with you and OConnor and some of the high-end products in your group, people aspire to them. Even if they can’t afford it, that’s what they’re saving up for. I think this market’s always going to be tiered in that way. It’s going to be the high-end of the pyramid where people really demand the best and they have to have it and absolutely are going to pay for it. Then you have an intermediate part of the market where people are going to aspire to have those products. Maybe they can’t always afford them. And then you have the part of the market that’s growing the fastest, that’s broadening the fastest: all the people who are entering the business and buying their first camera, buying their first tripod. If they choose to buy a Blackmagic URSA or an AJA CION, well that’s great because I think we have the confidence that they will need us as their career continues. 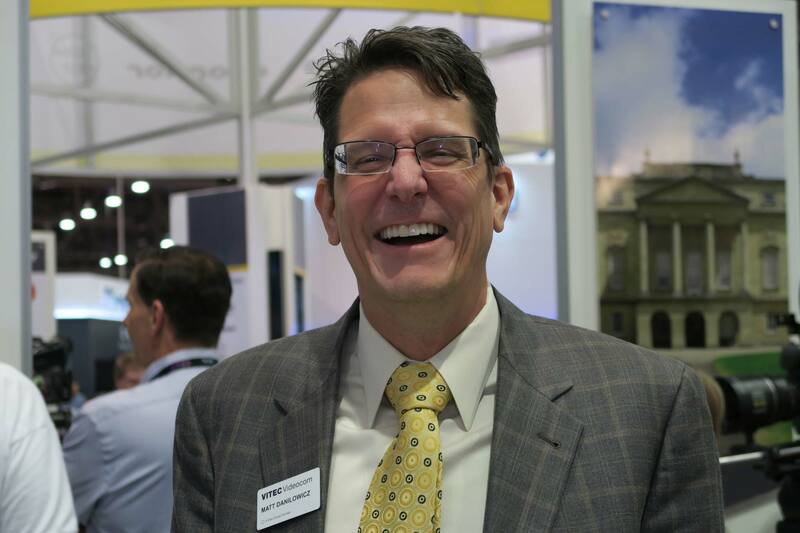 We met again at NAB 2015 this April and continued the discussion. Matt, what has changed since we last sat down and talked? I think it’s important to talk for a moment about what’s happening with Vitec Videocom in general. I have been engaged in a program, since I came back to Vitec about three years ago, to really try to extract some of the synergy that I think exists among our different businesses. We’re in a time where the industry is changing enormously. I don’t think many people would argue with that. The audience-base has fractured into many different new modes of watching television. The change in the price and size of cameras has been an enormous market driver for many companies. And there has been an explosion in demand for content. This explosion in demand is being met by whole new groups and a whole new generation of independent content creators who are coming into the market place, who want to play a role in producing television. Some of them are producing some amazing content which they’re successfully monetizing and making a living from. It’s being distributed over YouTube and other places. We call that democratization of the media. Google has all kinds of programs. If you can demonstrate to Google that you’ve got a regular audience, they will send you a check for your content. They place advertisements into content that achieves a certain level of audience. We’re looking at these independent content creators as an inter-related but distinct market compared to more traditional broadcast customers. I want to make it very clear that we are hugely focused on our traditional network and local television station customers. They’re our bread and butter and they still sustain our business. But their businesses are not growing. Because of all these trends that we just talked about, they’re not seeing massive growth and certainly their budgets aren’t growing, so they’re not spending a whole lot more with us. They’re replacing equipment and we’re hopefully coming up with new innovations that they’re excited about. But the growth of our business is arriving from this new area of young content creators who are coming up with whole new ways of using products. We’ve become more attuned to that space since our recent acquisitions of Teradek and some other exciting companies. Most of the folks who work at Teradek are about half the age of the rest of the people in my division. They’re totally tuned in to this whole new group of content creators. They are the next generation and what I’m quite focused on right now, for our business, is figuring out how to unlock not just the contributions from their products and from their technologies, but to help re-educate all the people within Vitec about how to sell and promote products and create awareness in a world of social media, blogging, Twitter and all of these new ways of reaching out to customers. This new generation may not know that Sachtler produces one of the quickest deployment tripods in the industry with some of the best stabilization and torsional rigidity—nor do they care. In some cases they probably should care, because we have a lot to offer them, but in their early stages of filmmaking and content creation, these things aren’t yet important. It’s not yet relevant for them. But we want to be there. We want them to know us so that as their profession advances and as their businesses grow, they will turn to us rather than to someone else. That’s our job. We see this new market emerging. I think that’s where most of the growth in our industry is going to come from. I call them independent content creators. A lot of people call them shooters. Use what term you like. We might have previously called them videographers but I don’t think that really covers it. Some of them are producing really amazing filmmaking. They’re doing shorts that they’re putting on the Internet. Like amazing little bits where they include commercials and sponsors. That whole world is a new adventure for us and we’re very engaged in it. I think the interesting thing about our NAB 2015 booth, and why you’ve seen us busy from morning till night, is this amazing conflux, a collision if you will, between these two parts of the market. The independent content creators are showing up to look at the latest cool, new technology for video streaming out of Teradek, and they suddenly get introduced to a new camera head or the new Litepanels Astra. At the same time, the traditional broadcasters are coming to our booth and learning that they don’t have to buy another microwave transmission unit for $50,000 when they look at the new Vidiu Pro—a bonded cellular transmission device that lets you gang together two, three or four cells phones and send the signal out, and the video looks really good. I think we’re at the center of a very interesting collision that’s happening now. It’s very exciting and I’m trying to create something harmonious out of that chaos. Yes, I think it is disruptive—in a good way. You have a new team? To navigate this complexity, I’ve brought in a top-notch leadership team. I’m very proud of the people who’ve come to work with me over the last year or so in the business. A number of them are some of my former Avid cronies, I have to admit. For example, Graham Sharp, one of the most creative and hard-driving executives in the industry, is now running what we call our Production Equipment Business Unit, which includes our batteries, lights, and tripods. Nicol Verheem, who was running Teradek, was promoted to manage a larger business unit that includes a lot of our new growth companies, so he’s managing Paralinx as well as SmallHD. He’s a very dynamic guy. Very well-known across the industry. He has a very nurturing attitude towards other young companies. A lot of them turn to him for advice. He was the founder of Teradek. I think he was hugely successful with that acquisition. It would’ve been easy for him to leave and go on to do something else, but he’s been gracious enough, and I think excited enough, about what we’re doing that he has stayed to become one of the core members of my management team. I’m very proud that he’s stuck with us. Our latest great leader to join the team is a gentleman by the name of Martin Vann. Martin actually ran the media and entertainment division of Autodesk for a while. He’s well-known in the business. He worked with me at Avid in the early days when we grew that business into something big. He’s running our Consolidated Divisional Sales and Marketing organization. Halid Hatic, who also worked with us in the early days of Avid, and more recently worked for VizRt in the graphics space, has been busily growing the Bexel Global services business. I think this group I’ve put together have a common vision, a common sense of where we’re going as a business. You recall I mentioned that we basically took the individual sales organizations and mashed them together into one common group so we can get a broader reach, with even more synergy and more efficiency, and it’s running really well. I’m very proud of the changes. You mentioned Avid Technology. Is software in Vitec’s future? I absolutely see more software products in our future. But the emphasis is not just on software, it’s on intelligence. Let me define what I mean by intelligence. I think of an intelligent product as something that can essentially anticipate what I’m looking for as a user. In other words, the product seems to know me. That’s what we love about our iPhones, or our mobile devices, because they quickly get to know us and our work patterns. I think you can do the same thing in hardware. By the way, I think you can have software that’s not particularly intelligent. I won’t make any comments about any particulars but there’s a lot of it on this show floor! There’s a lot of stuff that’s just complicated to use, it’s still designed with an old paradigm in mind. I mean, 15 years ago, the best software from the standpoint of many people in this industry was software that was so complicated it insured that their job was safe, and that nobody else would ever learn what they’re doing. Especially in post-production. There’s no question about it. The world has changed now. We don’t have time for that any more. There’s not enough staff available to learn all those arcane specialized interfaces. So what do we need? We need intelligent products. Now, software’s a big part of creating intelligence but so are very simple things like some of the new technologies we’re designing into our heads and tripods that allow for quick deployment based upon presets that are perfect for a particular shooter. Or a pan mechanism that learns from the cinematographers exactly how they want to utilize the device. Intelligence isn’t something that’s solely the domain of software; it can live in hardware as well, and I like to think that what we’re doing is designing smarter and smarter products: hardware and software, to change the way that people see us. I see that as our future. Tell me what you do when you have companies that do similar things. Like Teradek and Paralinx. Or OConnor, Sachtler and Vinten. How do you define who does what? We have a couple of different models. In fact I like to say we develop a different acquisition model for every business that we bring on board because the one thing that I don’t believe in, based on some of my own history, is going into a business, buying it and instantly chopping it to pieces, changing the org chart and suddenly destroying a lot of the value that you purchased. I don’t believe in that and our board of directors doesn’t believe in that. I like to think we’re more sophisticated as a company and I like to think that what we do best is acquire businesses. The fact that we’ve kept so many entrepreneurs in the business who’ve stayed with us long after their earn-out was complete will tell you that I think we know how to do that well. I think the approach in situations where we’re buying very similar products is that we try to determine where the niche is. Where each particular brand’s strength is, and go with that particular brand’s strength. Please expand on Teradek and Paralinx as examples. 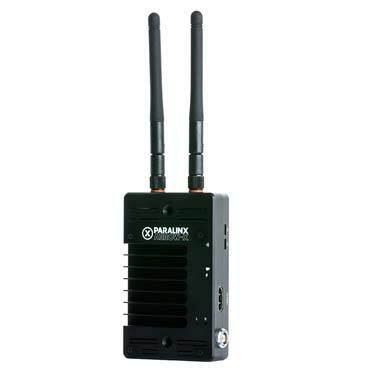 Paralinx has a little more appeal to the cinema environment, although frankly they sell in a lot of the same places as Teradek. We have no intention of discontinuing any of their products. People see their great strength in cinema and the principals of that company are filmmakers from that industry. Greg is a cameraman. Dan’s done a lot of independent filmmaking of his own, so they’re both guys who’ve spent a lot of time in production. I’m a big believer in going with the flow. Those guys love cinema. We want to just turn them on and allow them to start developing the next wave of products, with even more specialization in cinema. In other words, the idea is to see more development energy going into cinema from Paralinx, whereas Teradek will probably continue their trajectory more in the broadcast domain. Those are the ways that you’ll see us change. I don’t see Paralinx or SmallHD in this booth. Well, we only bought them about a month and a half ago, so it was a little too late for us to have them here. They already had their own booths, and they are mobbed. Tell me more about SmallHD. Oh man, they’re on fire. I’ve got to tell you, my board of directors and my boss took a big risk on them because there’s a lot of competition in the monitoring space right now and you’ve got some great companies out there. You could buy all of them! Why do you say risky? Risky because of all the competition in their space. We weren’t sure the world needed another small, cinema, high-end monitor. And I’ve got to tell you, this show has been a great vindication for us because they’ve really taken off here. Their new Sidefinder is a very a cool product. Many customers were saying, “We’ve already put in our order. We can’t wait to get it. It’s got a nice viewfinder but it also opens up into a monitor. Brilliant!” So they’ve taken the show by storm and I think they’re one of the real big success stories this year. Other companies are putting the finder on the front of their monitors. 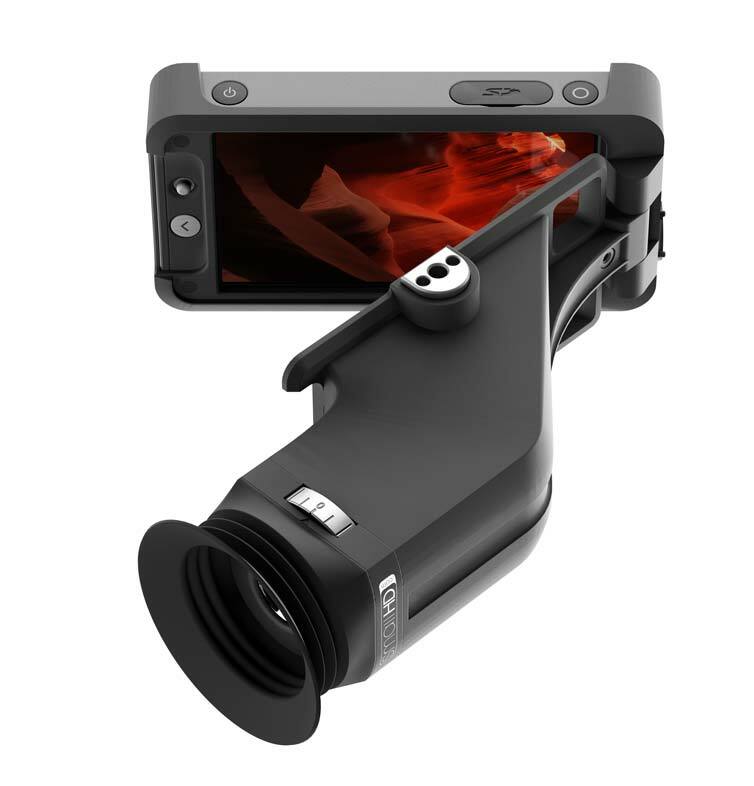 SmallHD puts it on the side. It’s convenient and a little bit easier to work with. I think people are loving it. Would you like to talk about lighting? I’d love to talk about lighting. I think Litepanels has really come into its own this year. I want to be very honest and candid about the story of Litepanels. We bought them eight years ago. A brilliant, amazing company — really pioneering LED lighting, principally in the cinema space. I think we hit it at the perfect moment. We came to that realization, lowered pricing dramatically on Litepanels, and over the last nine months, we’ve fleshed-out a complete range, going from about $600 all the way up to $2,000 and at various price points in between. Now, if you want the highest quality lighting fixture out there, it’s now easy to afford at a price point that’s going to make sense for you wherever your business is. I think fleshing out the range has been great and I guess the other big hit from Litepanels is our new studio lighting fixtures — this great new product called Astra. 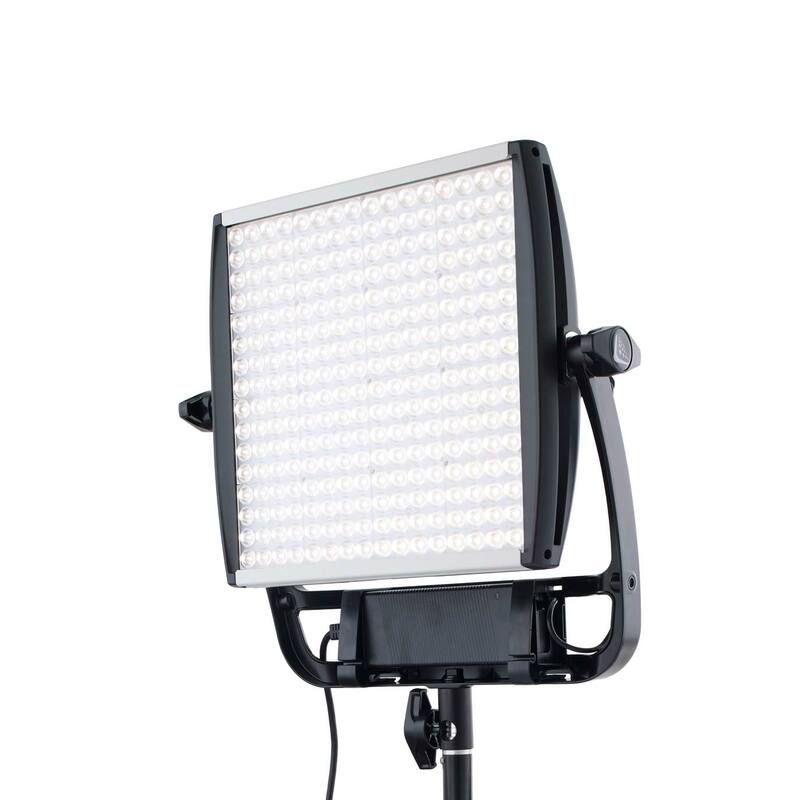 It really has turned people on and what I’ve heard from a lot of the professional videographers is, “I love this light because it’s a third of the size of a fixture with the same brightness. I can light a whole set with this bright, beautiful light, but it’s lightweight, and carrying it around is easy. It doesn’t take up a whole lot of electricity. It doesn’t throw off a lot of heat and it’s just a much higher quality fixture.” That product, I have to say, is also selling extraordinarily well. Frankly, it’s been very tough for us to keep up with demand. We’ve frustrated some of our re-sellers because we can’t produce them fast enough, but we’re catching up now. We’ve got plenty available as of today. Anton/Bauer Gold Mount G-90 batteries; V-Mount V-90 batteries.